COLORS: Colorless and sometimes shaded in soft colors of cloudy grey enhanced by a pearly lustre. 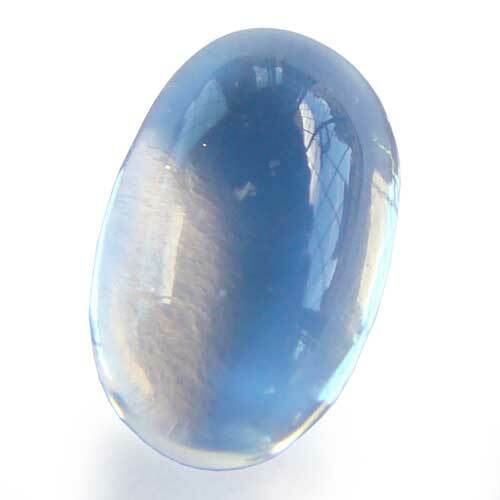 FACTS: It is a type of Moonstone of little monetary value. However the rarer stones with a slight blue reflection is prized amongst collectors and stone dealers. HISTORY AND LORE: The stone is representative of the moon (Goddess Stone) and the sacred Feminine. The Stone if kept under the pillow will reveal truths in dreams. MAGICAL POWERS: Like with all moonstone the influence of the Devine Feminine brings clarity to difficult decisions. One can almost feel the stroke of the Mother Goddess hand to bring assurance that everything will be ok. A gentle nurturing feeling soothes away stress and eases tension brought forth through negativity. When you are unsure what kind of action to take in a troubling situation, holding a piece of Adularia in your right hand will aid with the natural intuition that you already poses to make a clear and calculated decision.